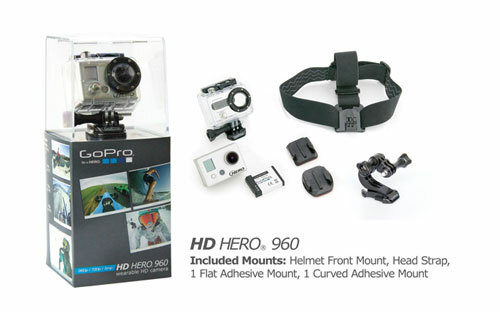 GoPro has been offering wearable and mountable camcorders for a while now. 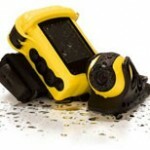 The latest offering from the company shares many of the same features of the older cameras at a much cheaper price. The new camera is called the HD Hero 960. The camera supports 720p resolution, but not the 1080p resolution of the other more expensive cameras in the GoPro line. The 960 also gives up the expansion bus on the bottom of the higher-end cameras so it can’t be fitted with the extra battery or LCD back GoPro offers. The 960 ships with a couple mount options including a head strap to let you wear the camera like a hat on your head or on a helmet. 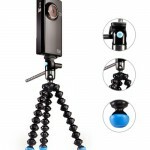 It also comes with a flat and curved surface adhesive mount and a waterproof case. The camera sells for $179 and is available now.